As the mercury drops and snow begins to fly in Alberta our thoughts turn from summer activities like hiking, cycling, and camping to winter ones such as skiing. While some may moan and groan throughout the cold season, we simply love being outside in the snow. We’re blessed to have some of the best skiing in the world here in Alberta, and living in Calgary gives us easy access to the Rocky Mountains. There isn’t much in the way of bad skiing in Alberta, but each resort does bring something a little different. This is our local take on the best ski resorts near Calgary, hopefully we’ll inspire you to book a trip to Alberta to explore the slopes this winter! Philip grew up and learned how to ski on the prairies. Manitoba is clearly not known for it’s mountains so we know and appreciate how great the skiing we do have in Alberta is. 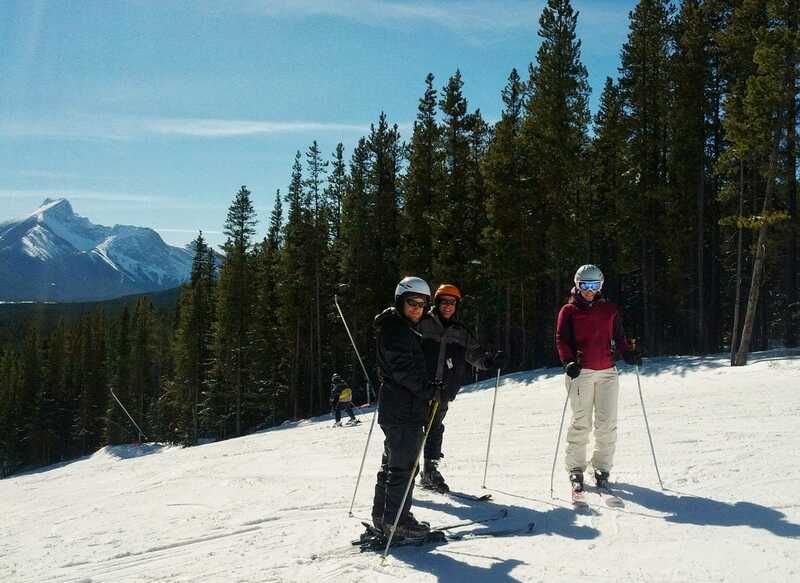 Thea didn’t begin skiing until her late 20s but quickly gained an appreciation for the great skiing near Calgary. Your guides to the skiing near Calgary. You can trust us, we’re totally pro. Many weekends during the winter you’ll find us at one of these ski resorts, either as a day trip or a long weekend adventure. 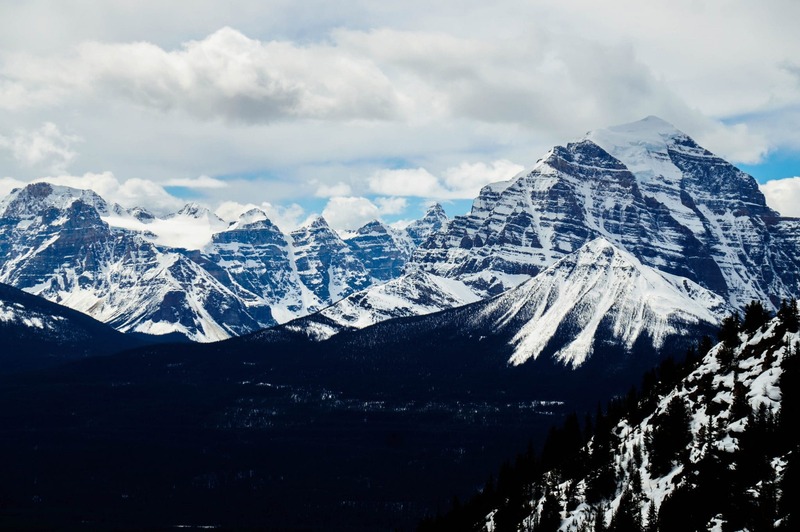 For this post we’ve set the cap as a five hour drive from Calgary as we think that’s a reasonable length for a long weekend ski trip to the mountains. It’s about as far as we recommend driving for skiing as you’re quite often driving through mountain roads and sometimes in sketchy winter driving conditions. Once you go beyond five hours you’re probably better off throwing the skis in the luggage bag and hopping on a plane. Nakiska opened in 1986 in preparation for Calgary’s 1988 Winter Olympics. It is the closest ski resort to Calgary on this list. Admittedly, it is a bit lacking in terrain but it’s an excellent hill for beginners and has some really nice, wide open, groomed cruisers. The gladed area off the gold chair is a bit of a gem too, with widely spaced trees that are suitable for those learning to ski through the trees. Nakiska is popular with families and a great place to go work on your carving. You can expect to see lots of kids, either in lessons or with their families lining up on the Silver chair. Because of their location Nakiska doesn’t get as much snow as others on the list so they have to make a lot of snow which can lead to icy conditions. The Finish Line Lounge at Nakiska has surprisingly half-decent and well-priced food for a ski hill, so it’s worth stopping in for lunch or après. If you plan on staying in the Kananaskis area we recommend checking out the restaurants at the Delta. Woody’s Taphouse is great spot to stop for a pint and a view of Mount Kidd! Nakiska makes an easy day trip from Calgary and it’s a great place to spend a day with family or work on your skills. While it is unlikely to please true powder hounds, it still features gorgeous Rocky Mountain views and it’s convenience from Calgary can’t be beat. If you live in Banff, this is the local’s option. Situated minutes from the Banff townsite this is a convenient option to do a couple laps before or after work if you live in the area (someday…). Those of us coming from Calgary have a bit more to trek with about an hour and a half drive to Norquay. For a small resort, Norquay certainly has charm. 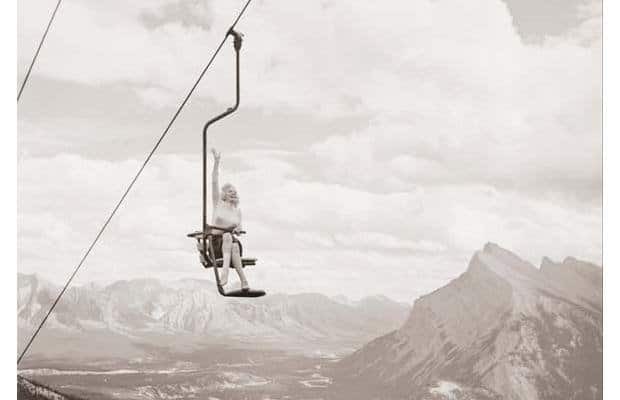 The North American chair has some fun terrain that draws a lot of locals from Banff and Canmore, and it was even famously visited by Marilyn Monroe. Norquay runs a promotion called Toonie Days where Alberta residents can get a lift pass for only $2 and ski for less than a cup of coffee. And it gets better, they collect optional donations to various charities of their choosing, raising over $40,000 at the time of writing this article. Skiing is a ludicrously expensive sport so skiing for pocket change is something special. For non-residents it is still a good option for tourists as it’s so close to Banff and lift tickets can be bundled with ones for Lake Louise and Sunshine with the Ski Big Three pass. We’re not a huge fan of the food at the hill and would rather head to Banff where there are more options but some say that the restaurant is excellent and good value for your money. Supposedly there is a fancy French chef who cooks there on weekends but we’ve never tried it so you’ll have to check it out and decide for yourself! Castle Mountain is a hidden gem in Southern Alberta. A rare family-owned hill, what it lacks in infrastructure it makes up for in charm. There is seriously a lady that will not only scan your lift pass, but give you a hug before you get on the chair lift. Castle has only a few lifts and while they do have names, they’re generally referred to by their colour. The green chair is the beginner area , the blue chair is your main lift with (you guessed it), nice blue runs, and the red chair takes you up to Castles famous chutes for some excellent black and double black skiing. Castle has some excellent terrain, the chutes will be enjoyed by any strong skier. This area is infamous for it’s wind so dress warm with lots of layers. Depending how the wind blows you can either have an amazing day or a day best spent in the T-Bar pub. Some days the wind blows all the snow off the mountain making for frustrating, icy ACL-tear-inducing skiing. The red chair (and the best terrain) can be closed for days at a time if the wind is blowing especially hard. But on the days when the wind is blowing just right, it sifts the snow so that it covers the tracks made in front of you, which makes for endless dry powder skiing. On those special days, the combination of Castle Mountain’s incredible terrain and great conditions align for some epic skiing. Speaking of the T-bar pub, ski pubs don’t get much more authentic than this. The walls are lined with old trail signs, the roof is covered with old skis, it has exactly the ambiance you would hope for from a ski hill pub. Kicking Horse Mountain Resort is located 14km outside of the town of Golden, British Columbia, and is just over a 3 hour drive from Calgary. Kicking Horse has a reputation for gnarly, steep terrain and is favoured among strong skiiers. You often have to hike for your line, but on a good snow day it has some fun terrain. That said, Kicking Horse lacks for infrastructure, with a single Gondola serving the majority of the mountain. Honestly, it’s not a great resort for beginner-intermediate skiers who will be stuck doing continuous laps off the Gondola and may get bored with the terrain and tired of the lineups. Strong skiers will rejoice in the shorter lines and terrain off the Stairway to Heaven chair, and the 75 chutes the mountain boasts. 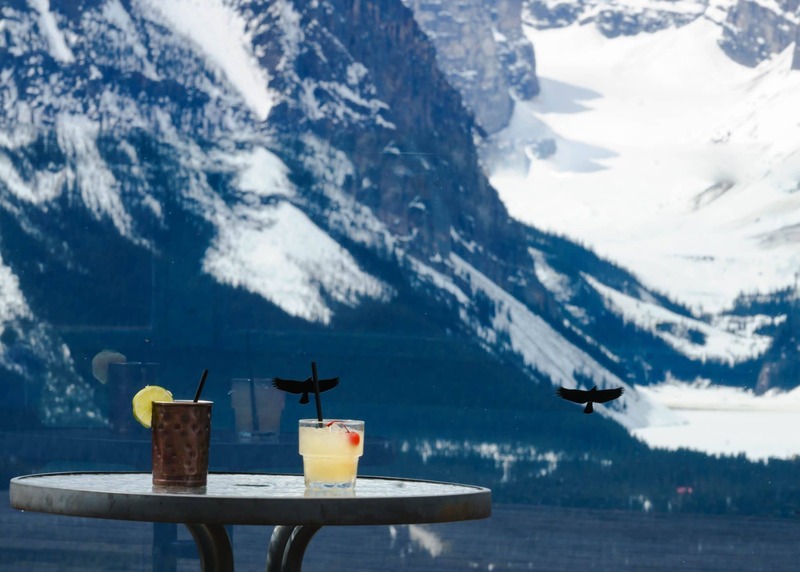 Another claim to fame for Kicking Horse is fine dining at the highest restaurant in Canada, the Eagle’s Eye which sits at 7700 feet (2346m) above sea level. If you’re a strong skier, Kicking Horse is worth the drive but if you’re going in a group of mixed abilities or looking for beginner – intermediate runs I would likely recommend heading to another hill on this list. Sunshine Village is roughly an hour and a half drive from Calgary. It has a wide variety of terrain suitable for beginners to experts. When you arrive at the resort you have to take a Gondola up to 2,164m to get to the chairlifts and because of that elevation, it has some of the best snow near Calgary. All ranges of skill levels will be satisfied with Sunshine’s variety of terrain. Sunshine has vast areas suitable for beginners and a variety of expert runs off of the Goats Eye and Teepee Town chairs. All of Sunshine’s lifts are modern and will get you to the top quickly. Sunshine’s latest lift, the Teepee Town even has heated seats and a screen you can lower to block the wind. Experts will certainly want to check out the freeriding zone of Delirium Dive, which has a steep 40 degree slope and wide open bowl that’s often filled with fresh powder. It requires an avalanche beacon to get past the gate, and should be accessed only by those that understand Avalanche Rescue techniques and are carrying the proper equipment. Sunshine also has excellent “sidecountry” skiing that can be accessed off the Wawa chair. Again, anybody accessing this terrain should be trained and prepared in self rescue, have knowledge of how to travel in Avalanche Terrain (through a course such as the AST1), and travel with an avalanche transceiver, probe, and shovel. Sunshine has a fun pub high up on the mountain that resembles a trapper’s cabin. Sometimes the snow is so high it covers the windows entirely. Stopping in for lunch at the Mad Trapper’s Grill is always a fun experience. That said, whatever you do, don’t eat the day lodge’s cafeteria food unless you like your food to taste like cardboard. Another feather in Sunshine’s cap, it typically stays open the latest of all resorts near Calgary. Each season you can ski until the May long weekend and the season is capped off with the Slush Cup which is a rip-roaring good time. 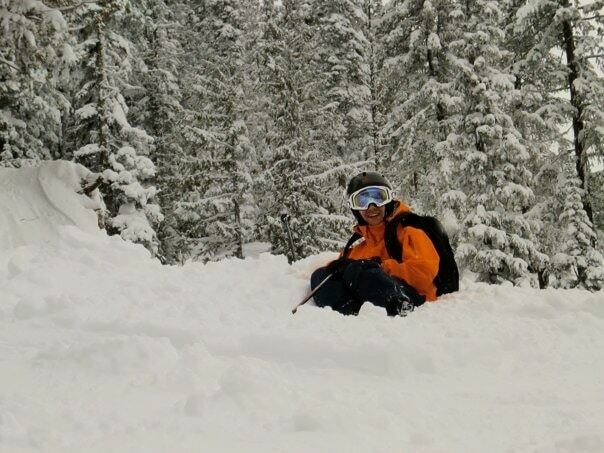 Just over three hours southwest of Calgary, Fernie boasts large snowfalls and epic bowl skiing. On average they receive a staggering 30 feet of snow, have almost 150 named runs, and 5 alpine bowls. Not too bad. It also is where Hot Tub Time Machine was filmed, so that’s another reason to visit. Great white buffalo…. Fernie has varied terrain that will appeal to all ability levels. Beginner and intermediate skiers will be happy on the ample blue runs off each chair and strong skiers will love the alpine bowls, glades, and chutes. The town is fun and has some delicious dining options and the ski hill’s Griz Bar is a good place to enjoy a tasty “mogul smoker” cocktail, a Fernie exclusive! 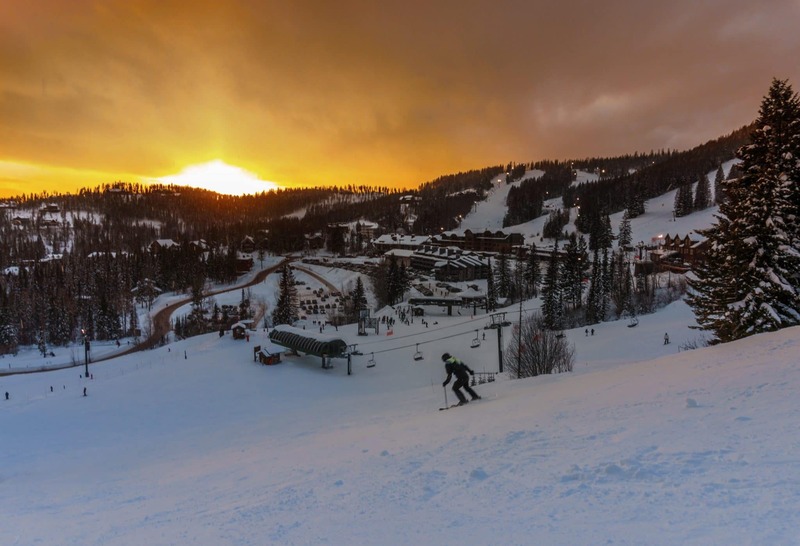 The only destination in the United States on this list, Whitefish is a bit of a trek at 5 hours from Calgary, but a trip to Whitefish will certainly make you feel like you’ve gone somewhere. It’s a much different culture than Calgary but welcoming of Canadian tourists. The vibe in town oozes ski culture, crossed with rural Montanan charm. 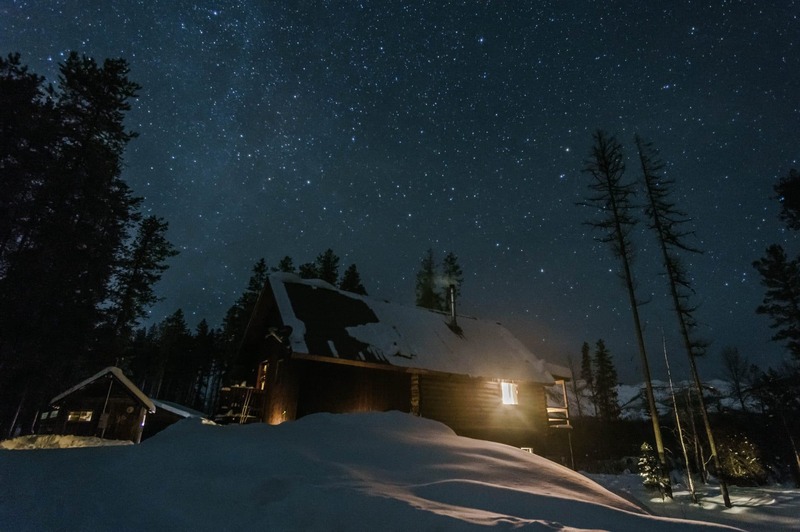 Cozy cabin under the stars outside of Whitefish, MT. The town has great shopping (think cabin décor), the bars have great beer on tap from the multitude of craft breweries in Whitefish and elsewhere in Montana, and you can gamble in most of the bars which is unique for us Canadians. A trip to Whitefish isn’t complete without visiting the Bull Dog Saloon, which accepts Canadian dollars at par….and make sure you make a trip to the facilities. That’s all we’ll say about that. 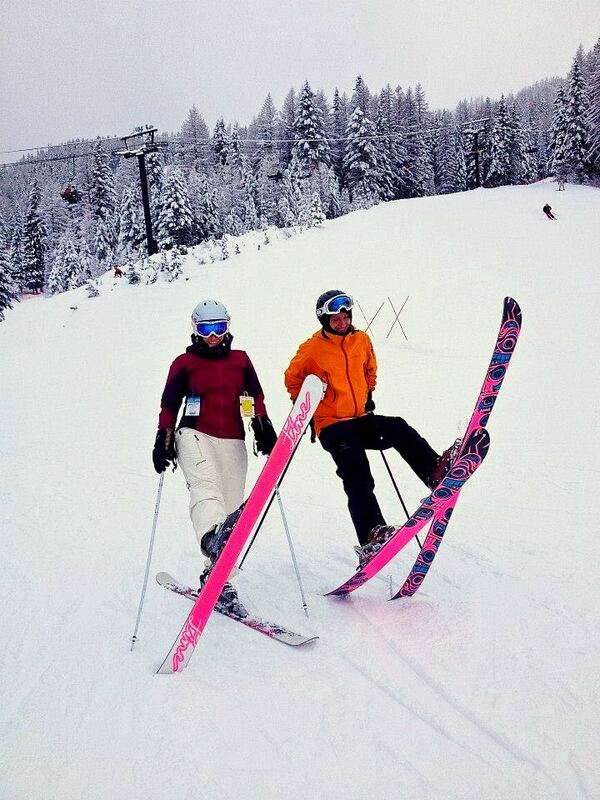 The skiing at Whitefish is also great, with a variety of terrain suitable for beginners to advanced skiers. The snow is often deep and fluffy although visibility can be poor, but that gives you an excuse to check out Whitefish’s great tree skiing. 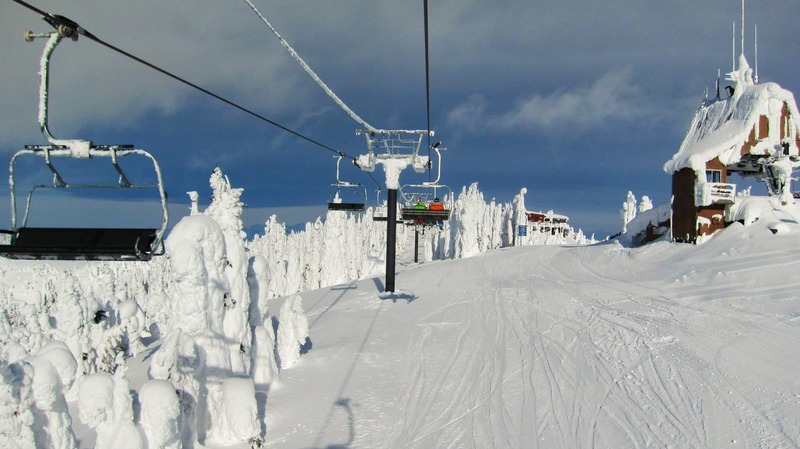 As you near the top of the ski resort you will also see “Snow Ghosts”; trees encrusted in snow and ice due to the unique conditions of wind, moisture, and temperature on the Big Mountain. In addition to great terrain and snow, there are often inversions meaning the weather on top of the mountain is sunny and warmer than the valley below. It makes for beautiful views of the town below and into Glacier National Park. Lake Louise is the most iconic resort in Banff National Park, and at about 2 hours from Calgary it is our go-to local hill. 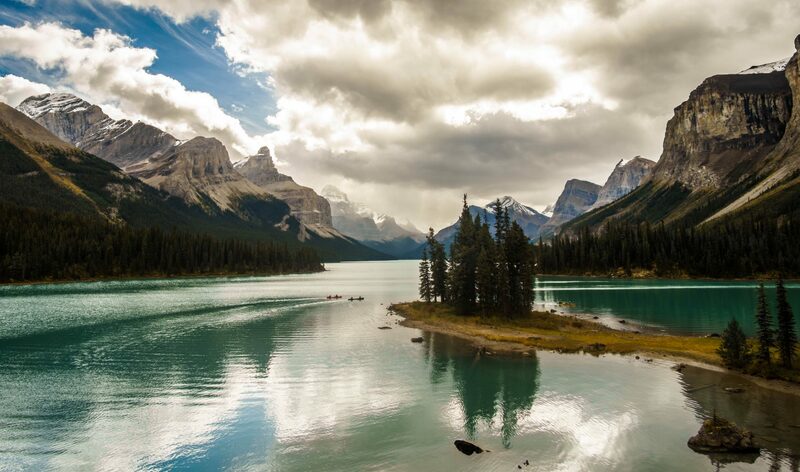 It’s also less than 45 minutes from Banff, making it a popular destination for those around the world. 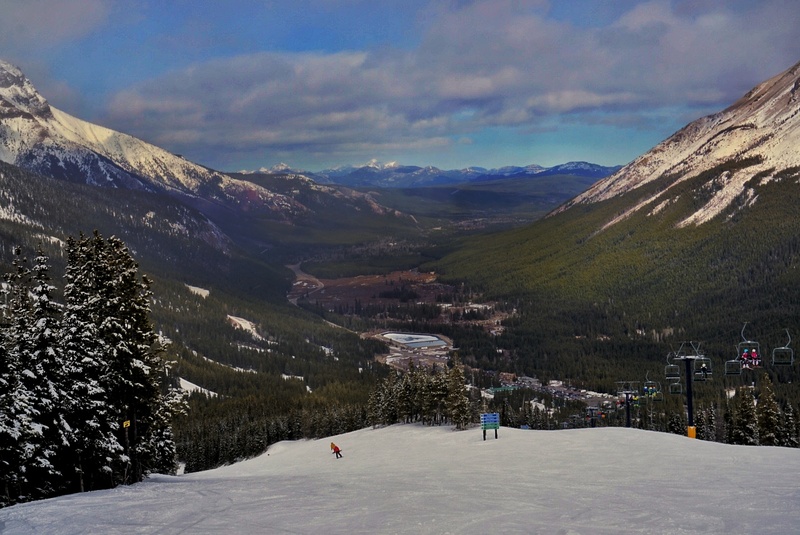 Lake Louise has great skiing for all abilities with long, wide groomers on the frontside and Larch chair, fun terrain of the Top of the World, and a large variety of challenging terrain for strong skiers off the aptly named Paradise Chair and Summit Platter. The chutes off the pommel lift are steep but especially fun. On busy days the front side can have long lineups but skiers in the know head to the backside to find shorter lines and wide open runs. Lake Louise is the first stop on the FIS Alpine Ski World Cup circuit each year, and the only resort in Canada where the race is held. The restaurants on the hill leave a lot to be desired, so we recommend packing a lunch, buying only drinks, and splurging at one of Banff’s many delicious dining options like Nourish or Park. The views at Lake Louise are simply world class with vistas of Lake Louise, the Plain of Six Glaciers, the Valley of the Ten Peaks, and of Mount Temple. Make sure you take your camera! 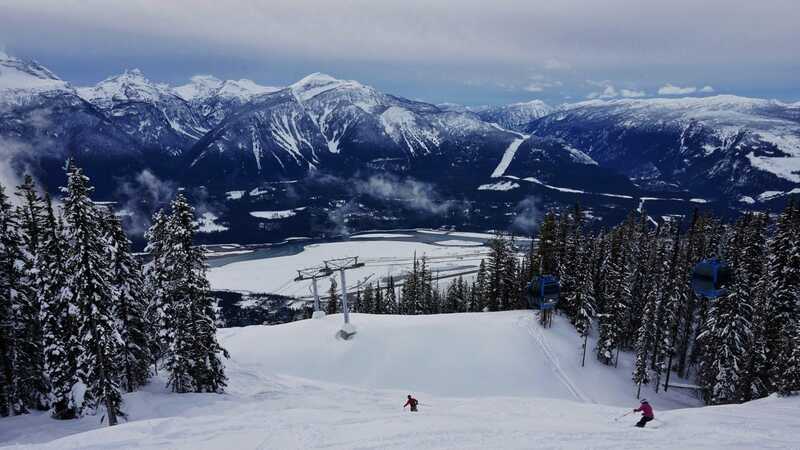 Last but certainly not least, Revelstoke (“Revy”) is without a doubt, the best skiing near Calgary. A four and half – five hour drive (and often in poor conditions) is a bit of a long haul for a weekend but if Revelstoke was closer to Calgary we’d be there all the time. It’s arguably the best skiing in Canada, North America, or maybe even the world. Seriously, Revelstoke is that good. Stats-wise, Revy boasts the highest vertical drop (1713m) in North America, an unreal 14m of annual snowfall, 13 gladed areas and big, steep terrain. 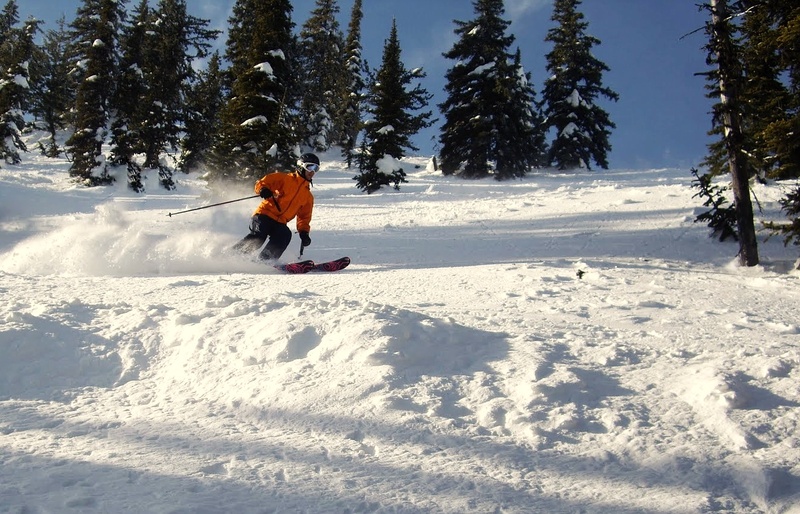 Revelstoke has a large area accessible only by heli-skiing operators and cat skiing. It also hosts the Freeskiing World Tour’s Canadian Championship annually, a testament to its big mountain terrain. Views of the Columbia River below on bluebird days are a sight to behold and offer an excuse to take a breather on the long, leg-burning runs. The drive from Calgary, unfortunately, is a long one and can be a bit treacherous but the tremendous skiing is well worth the effort. Heavy snowfall can lead to the highway closures for avalanche clearing along Rogers Pass which may lead you to get “Revelstuck”, but is that really a bad thing? Food at Revy isn’t too bad but we’ll typically pack a lunch and instead spead our money at the fun pubs and restaurants in town for some delightful après. We recommend the Village Idiot for their chairs made out of old skis and massive piles of nachos but be prepared to wait for a table. 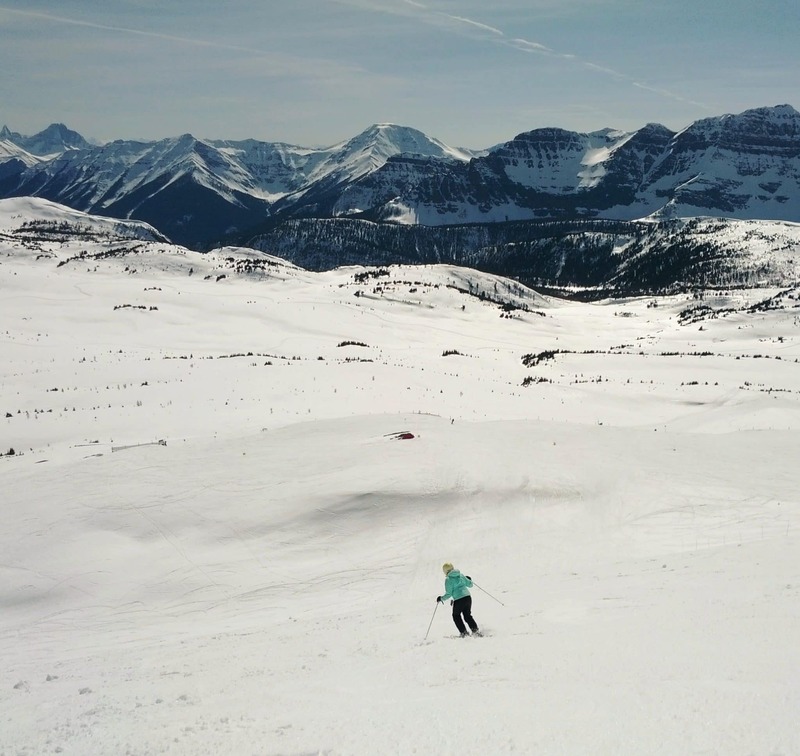 There isn’t a lot of bad skiing near Calgary. We’re fortunate to be close enough to day trip to a wide variety of resorts that each offer a slightly different experience. For those that are willing to drive a bit further or aiming for a weekend away, your options expand to some seriously great ski resorts. People come from all over the world to check out these ski resorts and we’re certainly privileged to have them so close. Whether you’re looking to cruise the groomers, rip through the trees, or drop into a bowl of champagne powder, these resorts have it all. See you at the bar for some Après-Ski!